Meet the friendliest dog in town. Funny Gunny’s never met a stranger. And that’s good because with Basset Hound legs and a Labrador body, he attracts a lot of attention. Part dog, part seal, Gunny has an abundance of goofy energy. He's bouncy, he's jumpy, he's full of joy. 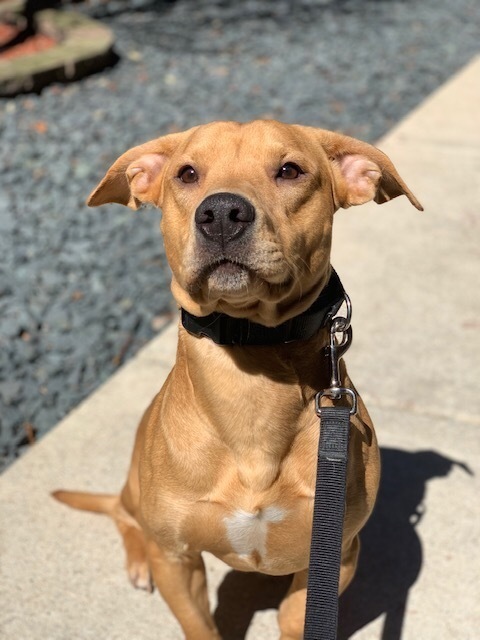 Described by his foster mom as “a social butterfly” and “extremely flexible,” Gunny would do well in a home with another dog or with an active family and visits to dog parks. Because of his enthusiasm, we recommend a home without young children, as he might just knock them over! 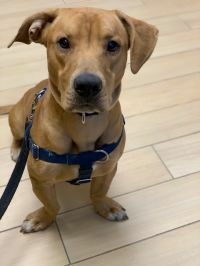 Gunny loves walks and, at 50 pounds, is quite strong on a leash. 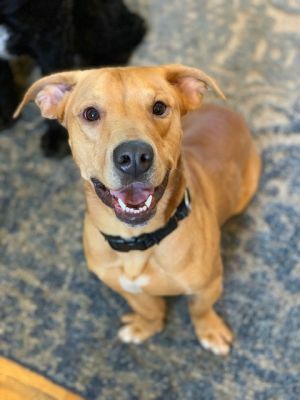 Gunny is a little hesitant with men and will need slow, positive introductions to help him become more comfortable. 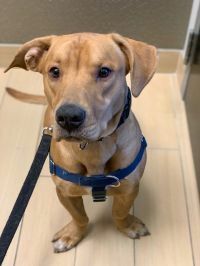 At 2 years old, Gunny is crate and potty trained, although he doesn’t like to be crated if other pups are free roaming. After all, a guy’s gotta be with his friends. 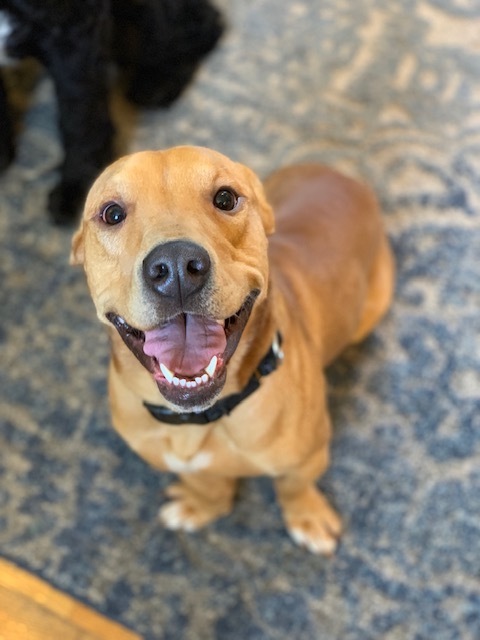 If you’re looking for a sidekick and a friend for life, come meet Gunny this Saturday.